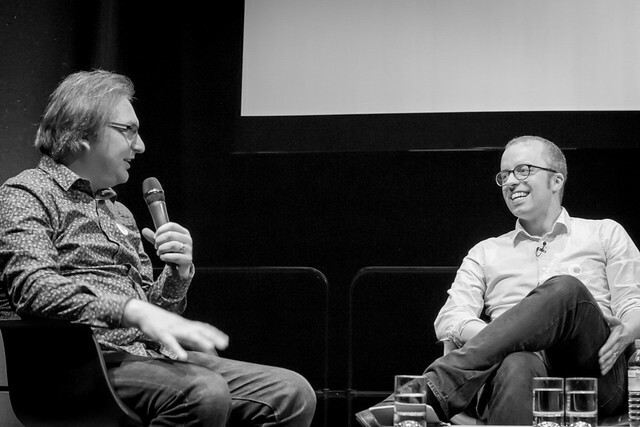 Quite a significant chunk of my time last year was spent organising dConstruct 2014. The final result was worth it, but it really took it out of me. It got kind of stressful there for a while: ticket sales weren’t going as well as previous years, so I had to dip my toes into the world of… (shudder) marketing. 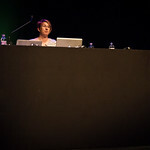 That was my third year organising dConstruct, and I’m immensely proud of all three events. 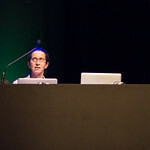 dConstruct 2012—also known as “the one with James Burke”—remains a highlight of my life. But—especially after the particularly draining 2014 event—I’m going to pass on organising it this year. 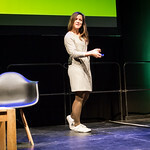 To be honest, I think that dConstruct 2014, the tenth one, could stand as a perfectly fine final event. It’s not like it needs to run forever, right? As we prepare for our tenth anniversary, we’ve also been asking whether it should be our last—at least for a while. The jury is still out, and we probably won’t make any decisions till after the event. Y’know, it could turn out that dConstruct in 2015 might reinvigorate my energy, but for now, I’m just too burned out to contemplate taking it on myself. Anyway, I know that the other Clearlefties are more than capable of putting together a fantastic event. 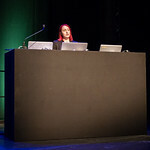 But dConstruct wasn’t the only event I organised last year. 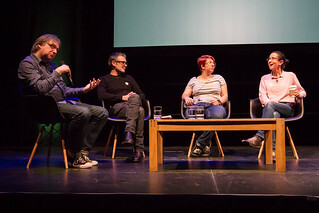 2014’s Responsive Day Out was a wonderful event, and much less stressful to organise. 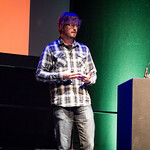 That’s mostly because it’s a very different beast to dConstruct; much looser, smaller, and easy-going, with fewer expectations. That makes for a fun day out all ‘round. I wasn’t even sure if there was going to be a second Responsive Day Out, but I’m really glad we did it. In fact, I think there’s room for one last go. The sequel I’ve been eagerly awaiting—Responsive Day Out 2—is almost here! It kicks off tomorrow morning at 9am. I probably won’t be able to sleep much tonight, but that’s okay: I’ll need to be at the Corn Exchange in the Brighton Dome bright and early to help get everything set up. I always love the atmosphere on the day before an event in Brighton. I like seeing the updates from friends far and wide as they arrive into town. Everything is coalescing nicely: speakers, attendees, and all-round lovely people are begin to show up and gather together. If you’re coming to the conference, you’re in for a treat. There’s going to be a lot of brain food provided. There will not, however, be any food food provided. But don’t fret. There’s a nice long hour-and-a-half lunch break, and plenty of options for food nearby. I recommended heading up the street to the weekly Street Diner at the top of Church Road. Once the conference is done, we’ll head to the pub. No particular pub, just …the pub. There are plenty within cat-swinging distance of the venue. If you’re still in Brighton on Saturday, there are some sporty events planned. And if you’re already in town, there’s a Business of Web Design event tonight at 68 Middle Street. 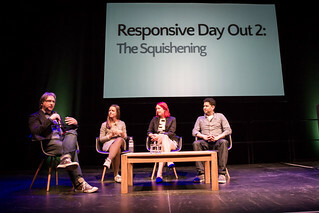 When we decided to put on last year’s Responsive Day Out, it was a fairly haphazard, spur-of-the-moment affair. Well, when I say “spur of the moment”, I mean there was just three short months between announcing the event and actually doing it. In event-organising terms, that’s flying by the seat of your pants. 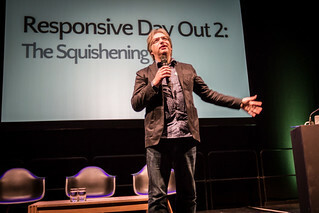 The Responsive Day Out was a huge success—just ask anyone who was there. 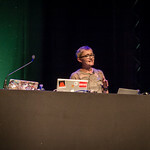 Despite the lack of any of the usual conference comforts (we didn’t even have badges), everyone really enjoyed the whizz-bang, lickety-split format: four blocks of three back-to-back quickfire 20 minute talks, with each block wrapped up with a short discussion. And the talks were superb …really superb. It was always intended as a one-off event. But I was surprised by how often people asked when the next one would be, either because they were there and loved it, or because they missed out on getting a ticket but heard how great it was. For a while, I was waving off those questions, saying that we had no plans for another Responsive Day Out. I figured that we had covered quite a lot in that one day, and now we should just be getting on with building the responsive web, right? But then I started to notice how many companies were only beginning to make the switch to working responsively within the past year. It’s like the floodgates have opened. I’ve been going into companies and doing workshops where I’ve found myself thinking time and time again that these people could really benefit from an event like the Responsive Day Out. Slowly but surely, the thought of having another Responsive Day Out grew and grew in my mind. 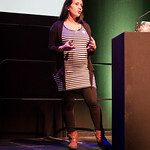 On Friday, June 27th, come on down to Brighton for Responsive Day Out 2: Elastic Bugaloo. It will be bloody brilliant. The format will be mostly the same as last year, with one big change: one of the day’s slots won’t feature three quick back-to-back talks. Instead it will be a keynote presentation by none other than the Responitor himself, Duke Ethan of Marcotte. There are some other differences from last year. 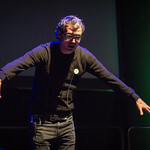 Whereas last year’s speakers all came from within the borders of the UK, this year I’ve invited some supremely talented people from other parts of Europe. 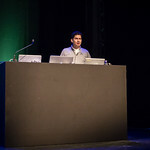 You can expect mind-expanding knowledge bombs on workflow, process, front-end technologies, and some case studies. If you check out the website, you’ll see just some of the speakers I’ve got lined up for you: Stephanie, Rachel, Stephen …but that’s not the full line-up. I’m still gathering together the last few pieces of the day’s puzzle. But I’ve got to say, I’m already ridiculously excited to hear what everyone has to say. The expanded scope of the line-up means that the ticket price is a bit more this year—last year’s event was laughably cheap—but it’s still a ridiculously low price: just £80 plus VAT, bringing it to a grand total of just £96 all in. That’s unheard of for a line-up of this calibre. I’m planning to put tickets on sale on two weeks from today on March 25th. 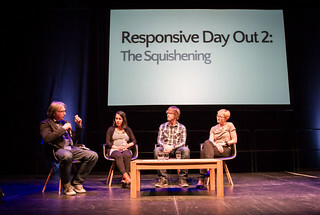 Last year’s Responsive Day Out was insanely popular and sold out almost immediately. Make sure you grab your ticket straight away. To get in the mood, you might want to listen to the podcast or watch the videos from last year. See you in Brighton on June 27th. This is going to be fun! 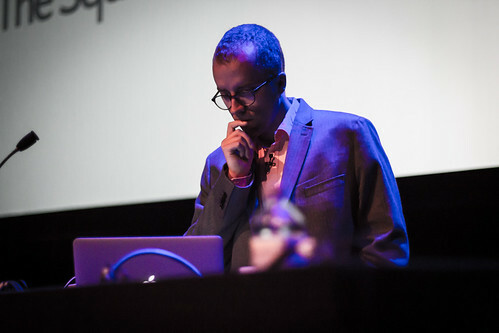 Thanks to Drew’s tireless work over the weekend, all the audio from the Responsive Day Out is available for your aural pleasure.